C&IT TV had an extremely busy 2016, from paying visits to agency HQs around the country to broadcasting from a host of live events. Check out the highlights here. C&IT’s first live event of the year took place at The Grand, Brighton, where more than 85 corporate event planners took to the coast for the annual Corporate Forum. Georgia Blood, event manager at AIMA, Neville Staines, national events manager at Citroën and DS and Dawn Severn, event manager at AXA Insurance, took a break to discuss their pitching do’s and don’t’s, including wacky ideas, wrong spellings and suggestions for success. C&IT partnered with Rocco Forte Hotels and Brown's Hotel to film our first events industry cook off, featuring Michelle Mainwaring, marketing and PR manager at Vivid Event Group; Nichola Pergande, events director at Church Street Events; Louise Gruchy, director of operations at Bluehat Group; and Andrew Gilkerson, client and procurement director at WRG. Speaking at C&IT and sister-title Event's Event 360 in May at Building Six, business development director for The Black Tomato Agency, Elliott Grant, spoke about his experiences of being in a crisis situation, and discussed the challenges facing the industry in terms of destination choice and event insurance. August saw the return of the C&IT Agency Forum at Excel London, Kelly Brown, founder and event and marketing consultant of KC Events and Richard Brown, owner and managing director of Chew Events, spoke to Features Editor Jack Carter about how they choose destinations to pitch and what they predict to be the hottest destinations for 2017 and beyond. The C&IT Agency Forum became one of the highlights of the year, with more than 200 event professionals in attendance. From toasting champagne alongside a sporting icon at The O2 to a stunning gala dinner and reception at the Painted Hall, and not forgetting two days of seminars and one-to-one meetings, the forum was a huge success in what was its biggest ever year. 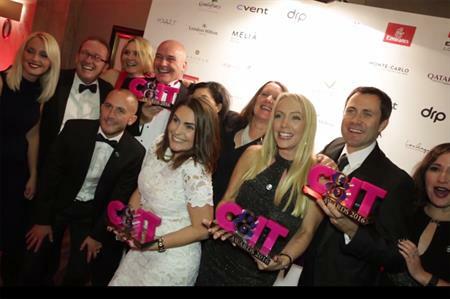 In September, a 500-strong crowd donned their glad rags and made for the Hilton London on Park Lane for the C&IT Awards. Agency Rapport cleaned up, picking up four awards, including the coveted Grand Prix for its ONE Astellas Live event, while Zibrant picked up the Incentive Programme of the Year for AstraZeneca - The Academy, and the UK Conference or Congress of the Year gong went to Meet & Potato for Dunelm Film Festival 2015.